Virtualization is a phenomenon which has overtaken the data center. The fundamental changes made by this technology are beneficial but can also cause challenges - and how you respond to these changes will largely determine the future efficiency and effectiveness of IT within your organization. 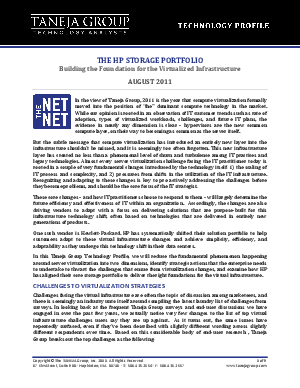 This Taneja Group white paper sponsored by HP & Intel can help you overcome the problems caused by these changes in order to get the most out of virtualization.